TriMet has a new executive director of the Safety and Security Division coming on board. Marla Blagg moves to TriMet from Bay Area Rapid Transit (BART), a transit agency in the San Francisco area. She will start at TriMet on October 22 and work closely with outgoing Executive Director Harry Saporta, who is planning to retire in early 2019 after eight years leading TriMet’s safety and security efforts. Blagg has created and directed emergency operations, management and training across law enforcement, fire, public health and transit industries for nearly 20 years in Alameda County, California. At BART, Blagg established the transit agency’s first emergency operations center. 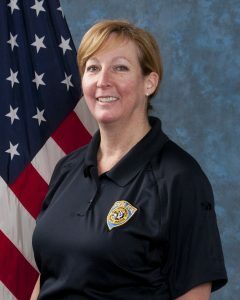 Her efforts established strategic planning and coordination of safety, security and operations efforts during high-level security events, major operational incidents and natural disasters. Prior to BART, Blagg worked with Alameda County’s Sheriff’s Office, Fire Department and Public Health Department. She created a comprehensive emergency management plan to develop policies and procedures across multiple jurisdictions, and helped develop a five-year strategic plan for the Alameda County Fire Department. She served as a liaison between federal, state and local agencies. Through her dedication to public safety, Blagg serves as an adjunct professor for the Infrastructure Training & Safety Institute at Texas A&M University’s Texas Engineering Extension Service (TEEX). She provides real-world training to first responders and public service professionals on disaster management. She received a commendation for her emergency response efforts during Hurricane Irene in 2012. Blagg is a member of the American Public Transportation Association (APTA) Security Emergency Management Task Force Committee. She has served on the Urban Areas Security Initiative (UASI) Program’s management team, developing a multi-year exercise training plan for prevention, preparedness, response and recovery involving acts of terrorism.